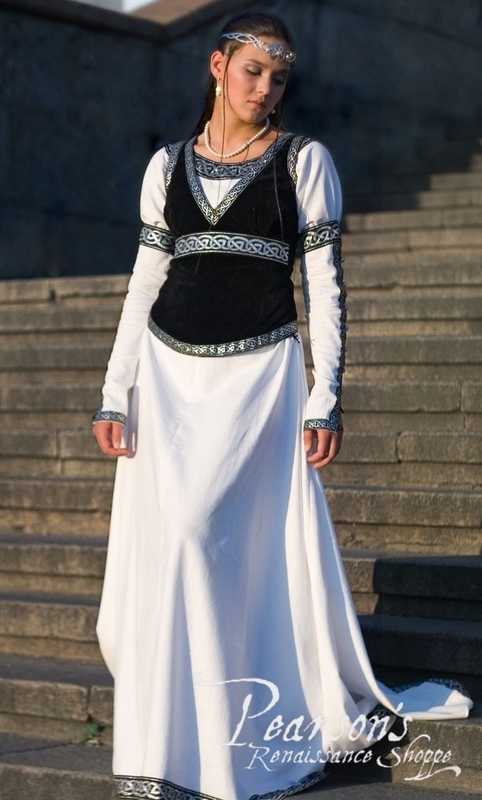 The Chess Queen Bodice is made of faux suede with a satin lining and a beautiful wide silver celtic trim. It has lacing on the back to adjust it to your figure. 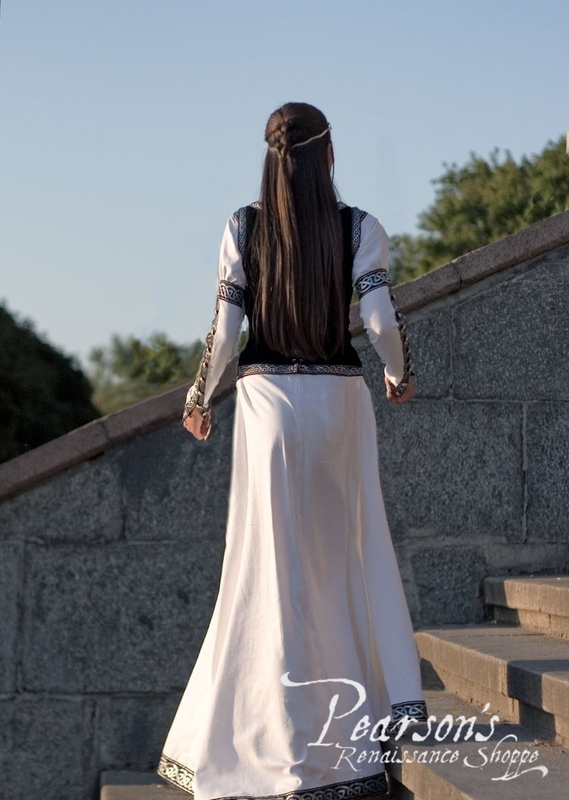 Looks great with the Chess Queen Dress or by itself. Closeout on Red and Blue colors, limited sizes available.